The Office of Title Grants and Support invites local education agencies and organizations to register for the second annual Title Con: Striving for Results conference being held April 23-24, at the Hyatt Regency in downtown Indianapolis. The two-day conference will feature keynote speakers, various breakout sessions, and opportunities for TSI/CSI schools to meet with School Improvement Summit technical assistance partners. In addition, IDOE will be hosting three pre-conference workshops: Fiscal Guidance, McKinney-Vento Liaisons, and Title 101: New Program Administrators, at the Indiana Government Center South on April 22. Registration for these workshops can be completed with the same registration link listed above. The links and all Graduation Pathways information can be found here. Please contact Ben Carter with any questions. Statewide Readiness Test – Next Wednesday! All schools administering AIR assessments in Spring 2019 are required to participate in the Statewide Readiness Test (SRT) next Wednesday, January 23 (backup date is Monday, January 28). Schools should select a 30-minute block of time between the hours of 8 a.m. to 11 a.m. ET to conduct the SRT. Refer to the Technology Readiness Guide for detailed guidance and scripted directions to follow when conducting the SRT. Call the Indiana Assessment Help Desk at 866-298-4256, or contact via email, if assistance is needed. IDOE and American Institutes for Research (AIR) recently completed test form construction based on proposed final blueprints posted on October 1, 2018. Due to the transition to I AM while leveraging existing item pools, some blueprint categories were revised. These recommendations were reviewed and approved by the educator committees originally engaged in the blueprints on December 21, 2018. Final I AM blueprints were posted January 14 to IDOE's website. Questar’s EAS Administration Center will no longer be accessible after January 31. Corporations should download any historical ECA or ISTAR data from this site before the end of the month. The Office of Student Assessment has released this guidance to provide clarification for payment of 2019 AP exams. IDOE collects school health data through a variety of reports. For the first time ever, Indiana has compiled the data into one comprehensive document for use by schools, parents, legislators, organizations, and community stakeholders. Learn more here. The Indiana Department of Education Office of School Improvement will host a matchmaking summit. This free event is for schools and technical assistance partners already vetted for evidentiary requirements found in ESSA. Summit details can be found here. IDOE's Social, Emotional, and Behavioral Wellness website is now live. This week you will find PK-12 Social-Emotional Learning Competencies. To help with educator usage, you will find grade band competencies. In addition, there is an Early Learning Crosswalk. Next week we will be releasing the Social-Emotional Learning Toolkit, Universal Screening Toolkit, Video, and Social-Emotional Learning lesson plans. Please contact Christy Berger, Assistant Director of Social, Emotional, and Behavioral Wellness, with further questions. Please see this memo for information related to course titles and description changes. The High Ability competitive grant applications are now open. Grant proposals can be up to $75,000. All grant applications are due Monday, February 11. Please access the grant information sheet, which includes general information, application, and rubric. If you have any questions, please contact Cindy Schuler. IDOE’s literacy team invites passionate educators to participate in the development of the Literacy Framework’s Phase II. If interested, please complete this form. Additional information will be sent to those who sign up. The math team’s monthly newsletter is now available here. This month, educators are provided resources and insight to support and promote meaningful discourse in the math classroom. The registration links for the Math Extravaganza and more are also included. The Office of School and Community Nutrition (SCN) will be hosting Coffee Break Webinars for administrators.Topics include Smart Snacks in School Offices & Wellness Policies, Ensuring Compliance with Special Dietary Needs in Your Schools, and Understanding Resource Management in the School Nutrition Programs and Ways to Support Food Service. Let our SCN team know if you have additional questions or need help registering. The Office of School and Community Nutrition is now accepting nominations through February 22 for the School Food Service Employee of the Year. You have the opportunity to publicly recognize employees who make outstanding contributions to school food service. For guidance on how to nominate a deserving school food service employee, please read this announcement and nomination information. IDOE is seeking a grant period waiver for the Math Science Partnership (MSP) program from the U.S. Department of Education. The MSP program was not renewed under the Every Student Succeeds Act, but with an approved waiver, can issue more funding to support STEM training for educators within our state. Please complete this brief survey to provide public input regarding this waiver. More information about the MSP program can be found here. The Office of Workforce and STEM Alliances will launch the Innovation Webex series beginning this month. This series will focus on innovation in career preparation and work-based learning programs. This month, we will host a one-hour Webex highlighting the Reaching Potential Through Manufacturing (RPM) program. The RPM program is a partnership between the Richmond County School System in Augusta, Georgia and Textron Specialized Vehicles (E-Z-GO), providing a unique paid opportunity for high school students. The first Innovation Webex will take place January 23 from 3 p.m. - 4 p.m. EST. The registration form is available here. Please contact Ben Carter for additional information. IDOE is hosting a Computer Science Curriculum Showcase at Center Grove Community School Corporation’s Innovation Center on Thursday, February 21, from 9:00 a.m. - 2:30 p.m. It is recommended that each school district send a representative to learn about various computer science curriculum options for ALL grade levels, and what you can do to provide your students with high-quality computer science experiences. This opportunity may also help you to plan how your district will comply with Senate Enrolled Act 172. Click here for more information. The Office of Workforce and STEM Alliances will be hosting two informative webinars about computer science and what schools need to do to comply with Senate Enrolled Act 172. Topics will include an overview of CS in Indiana, course options, standards, assessment, resources, and more! To register for January 23 from 3:00 - 4:00 p.m., click here. To register for January 28 from 9:30 - 10:30 a.m., click here. CSforIN is an initiative to empower all Hoosier students from kindergarten through high school to learn computer science, and to be equipped with the computational thinking skills they need to thrive in a digitally powered economy. Benefits of joining the community include access to a network of CS education stakeholders in Indiana, monthly newsletters, monthly community calls, and MORE! Join the CSforIN community here. These one- or two-day Computer Science Fundamentals workshops provide participants with an intro to computer science and pedagogy, an overview of quality elementary CS curriculum, and strategies for teaching “unplugged” classroom activities. This is a FREE opportunity and sub reimbursement is available. See this informational page for dates, locations, and to sign-up. Contact Jake Koressel with questions. 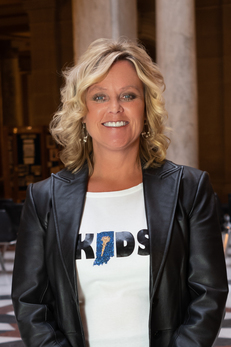 Senate Enrolled Act 297 states that not later than July 1, 2019, each school within a school corporation shall include interdisciplinary employability skills standards established by IDOE, in conjunction with the Department of Workforce Development, and approved by the State Board of Education, in the school's curriculum. IDOE will be posting the employability skills standards for public comment on February 1. Please contact Ben Carter with any questions. The Dual Credit Frequently Asked Questions (FAQ) document was recently updated and can be found here. One specific question in the FAQ document references the link between dual credit and Graduation Pathways (question #28 on page 11). Please contact either Ben Carter or Dr. Jennifer Jensen for additional information. A live webinar to discuss the recently approved Perkins V CTE concentrator course sequences will be held January 24, from 3:30 - 4:30 p.m. The webinar is open to school personnel. Please click here to register for the webinar. Please contact Tony Harl if you have any questions. The winter 2019 IN STEM teacher grant program is open to all Indiana K-8 classroom teachers. Awarding of grants ranging from $75-$500 to use on classroom equipment and supplies is based on classroom innovation, the enhancement of existing curriculum, and implementation of hands-on, inquiry-based STEM programming. The application and additional information are available here. The Office of School Finance has calculated the 2018-2019 curricular material reimbursement payment to qualifying schools and charter schools. Click here for the memo. The per-student funding amount is approximately $79.58. An electronic funds transfer for reimbursement will be made on February 6. Please send all questions here. The Form 9 Financial Report data submission for the period of July to December 2018 must be uploaded through DOE Online no later than January 31, 2019. The submission process opened January 1, 2019. Please note that this will be the first Form 9 data submission to require two additional fields: School Building ID and Subcategory. As part of the upload of Form 9 data, school corporations may test their files using the “Test a File” error review button on the main dashboard of DOE Online -> Form 9. Please see additional guidance, a list of School IDs, and other information in the ESSA and Form 9 folders in the Learning Connection School Finance Community under “Files and Bookmarks." Please email requests for assistance and any questions here. The second membership count date is February 1, 2019. Although this is a required membership count for all public school corporations and charter schools, the data will NOT be used in the FY2019 State Tuition Support formula. Specific information related to opening and closing times can be found in the DOE-ME layout in the Data Reporting Community of the Learning Connection. If you have questions, please contact either Amy Pattison or Melissa Ambre.